Staying at the forefront of innovation is part of Peirce’s DNA. For more than 151 years, we’ve continuously pushed the boundaries on how students earn their degrees – all the way back to Thomas May Peirce himself, when he opened the school’s doors in the evenings and on weekends to help working adults get the skills they needed for better careers. Our newest innovation, competency-based education (CBE), follows in this great legacy. Peirce’s first CBE program in IT is affordable, efficient, and gives students access to the most direct path to their degree. This caught the eye of Esther Yoon, a writer with Philadelphia Magazine, who sat down with Peirce’s Dr. Brian Finnegan, associate dean of IT and general education, and Dr. Rita Toliver-Roberts, Vice President of Academic Advancement, to learn more. Her article, published this week, focuses on the benefits of the new CBE program, and highlights the College's long history of providing working adult learners with the most innovative learning opportunities in Philadelphia. Wondering if CBE is right for you? Check out the web page or take our 2-minute self-assessment! It was always Marisol Ortiz’s dream to go to college. Growing up, education was always a priority; Marisol’s mother was a single parent and worked a factory job just to be able to afford to send her two daughters to a Catholic school. Life got in the way of her dream when Marisol started working right out of high school, and then began a family of her own. 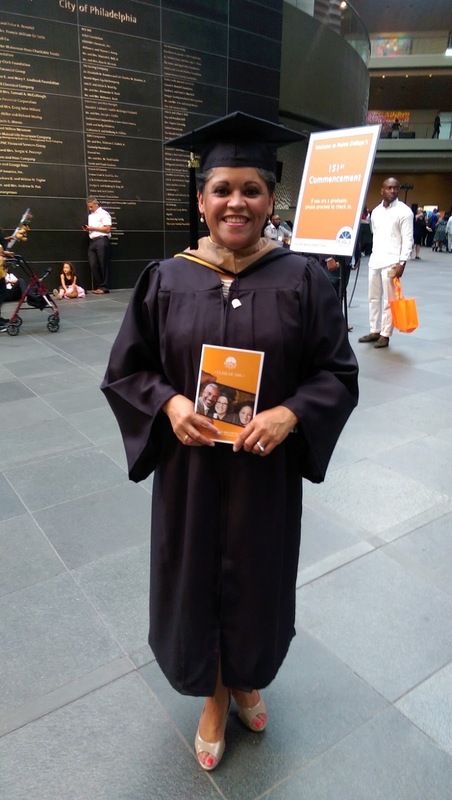 When her kids were teenagers she made the decision to enroll in community college, and she graduated in 2013. It didn’t take long for Marisol to set her sights on Peirce so that she could earn her bachelor’s. She heard about the school from a friend that had already attended, and was eager to start. Even though her older two children were grown by the time she enrolled at Peirce, she still had to juggle the demands of being a working mother to her youngest child while attending school. Taking online classes helped make things much more manageable. Since she had already taken classes at a different school, Marisol was concerned about having her credits transfer. The credit transfer process was easy, and she didn’t have to worry about retaking classes. Her advisor helped her develop an efficient registration plan that ensured she was only taking classes that she truly needed. Marisol also had an excellent support network when she was at Peirce. Her boss and husband encouraged her every step of the way, and she made some friends in her classes. Despite having 32 years of experience in her field and already having a leadership role at work, Marisol found that her experiences in the classroom brought her out of her comfort zone, and encouraged her to learn new skills that proved invaluable in her workplace. As a leader, Marisol found that the group projects she participated in with classmates improved her communication skills with her team at work, and made her more trusting. When Marisol finally graduated in June 2016 years of hard work had finally come together. She has so many cherished memories from that day. Marisol encourages new Peirce students to commit to their studies. She knows that once you have the drive to do something, anything is possible. 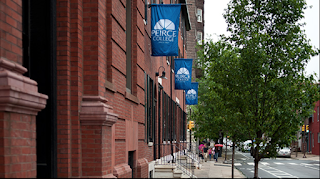 To learn about the Peirce Difference, click here. Amanda Heck always had an interest in college, but like many others at Peirce, she didn’t have a clear cut path to school. Amanda eventually took a few years off after purchasing a house with her husband. Despite her break, Amanda was eager to enroll in school again. She was the 4th person in her family to graduate from high school, and would be the first one to attend college. She was determined to complete her education and earn her degree, and as luck would have it, she discovered the perfect school for her at work. Despite her eagerness to learn, a few obstacles stood in Amanda’s way. Money was a big concern, as well as how she would manage her time. Finding money for school was easier than Amanda had thought it would be, but she still had other worries about attending. She had earned a lot of credits from her community college days, and she didn’t want all of the hard work to go to waste. Fortunately, Amanda had nothing to worry about. 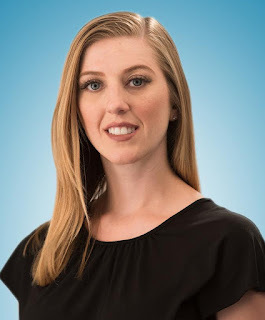 Amanda’s situation couldn’t have worked out better for her, she now had everything she needed to finally earn her degree. It didn’t take long for her to finish, and she used one word when asked to describe her graduation: Amazing. Earning her bachelor’s was an important achievement for Amanda, but she got more than a piece of paper from Peirce. Her classes taught her valuable skills, and continue to help her throughout her career. Despite being busy with work, she still manages to find time to talk to others about attending school at Peirce. It’s truly something she can’t recommend enough. If you want to know more about how your existing college credits might transfer into earning your degree at Peirce College, click here.